Roll out the red carpet and be careful with the best china because once again we welcome a royal lady today. Princess Louisa of Great Britain lived a short life, not marked by any great marriage or scandal; she did not fall victim to a revolution nor did she rule a country, she was simply a young lady who was destined to die tragically young. HRH Princess Louisa was born at Leicester House, Westminster, to Frederick, Prince of Wales, and Augusta of Saxe-Gotha. Her grandparents were George II and Caroline of Ansbach and she joined a large family, counting future kings and queens amongst her siblings. Louisa was a bright and cheerful child yet, around the time of the death of her sister, Elizabeth, her health began to fail. She grew weak and frail and would never recover her precarious well being. Because of her health issues, Louise was frequently confined to her bed and was unable to fully participate in court life, nor were any plans made to secure the young lady a marriage. 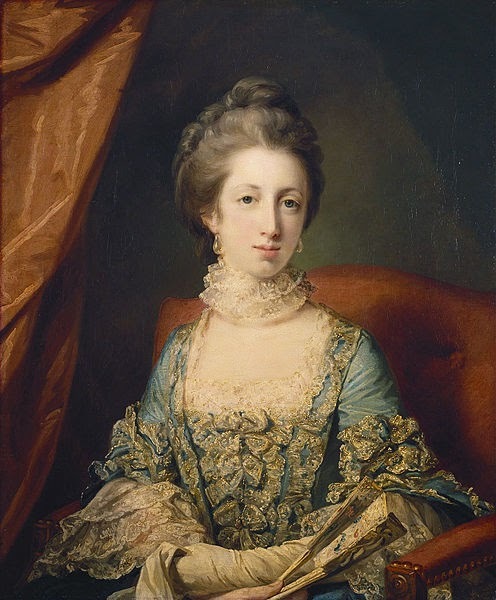 The young princess passed away at Carlton House aged just 19, the fourth among her siblings to meet an early death. Sad that one died so young, her life over before it had even started. Indeed, it strikes me that some of the royal children led very sad lives. Such a sad thing to be not even considered marriageable. Even at nineteen, she could have been married for a couple of years and possibly had a child or two. If she began getting ill at the death of her sister, perhaps it was sympathy sickness. It is a shame that she was basically confined and never got the chance to really live. As you say, even at nineteen she could have had a taste of life. She might also have died in childbirth. She was certainly not destined to see old bones! Since she lost sister before becoming frail and was the fourth of siblings to pass away, I wonder if a shared defect could have existed. Perhaps a blood or DNA problem could be at fault? Was there a shared bloodline, parents or somewhere on the family chart? It would not surprise me at all!